We are now recommending that commercially available distilled water not be used because it all seems to be heavily ozonized which oxidizes and interacts with the silver to cause a yellow color. In addition, the distilling process seems to damage the integrity and structured nature of the water as well as introducing oxygen, carbon dioxide and nitrogen from the air during this violent process. Obtain Reverse Osmosis (R.O.) water from a well maintained system, which has no Chlorine or Ozone. It is usually available from water stores as R.O. water. Faulty water is the usual cause of cloudiness or yellow colour. Electrolysis always produces oxide particles due to the production of Oxygen and Hydrogen from the breakdown of water and from Oxygen dissolved in the water. Cloudy water is normal at first. These oxide particles should be filtered out, preferably by allowing sedimentation of the produced water over at least 24 hours and pouring off the upper layer of colloidal water. Then you could use an unbleached coffee filter (Melita #6). Alternatively a 1 to 10 micron filter can be used. Turn the power level to lowest counter-clockwise level at first for highest quality and slowest charging rate. This has 2, 4 or 6 pairs of electrodes, each 12” or 14″ long in order to increase electrode area. Charging is done in a 2, 3 or 4 inch diameter tube through which water flows, driven by a pump and stored in a large holding tank of 20 litres or more. The silver and other metal atoms act like an electroplating process which deposits metal atoms on all surfaces. This staining is normal. Use fine steel wool to remove any oxide from the electrodes before each session. Do not use soap-based scouring pads. This alternates the electrical connection to the anode and cathode every few minutes thus preventing even more particles from deposting on the cathode (-) electrode. It also ensures equal wear on the electrodes. Nano water is distilled water which is electrically charged using precious metal electrodes where the electrical micro-current is controlled by a proprietary automatic circuit and passes through Sacred Geometry and Radionic circuitry. The water then contains trace amounts of single atoms (monoatomic) and multi-atom nanoclusters (1 to 8 nm), as well as Homeopathic and Radionic energies and also Clathrate clusters of water which store information. The simplest way to make really fresh electrically active colloidal silver and colloidal gold water at home is by the “low voltage electrolysis” method. The traditional method has been to connect three batteries to a pair of silver electrodes placed in a glass of water for 10 minutes. This older, traditional process overdrives the electrodes and will cause ions, and silver particles larger than 20 nanometres and up to 1 micron (1000 nm) to be sintered off the electrodes and enter the water. These crude large particles may kill many bacteria but are ineffective against small viruses and the smaller highly destructive Prions (cause brain damage). Whatever Ions present will be immediately neutralized by stomach Hydrochloric Acid or incorporated into proteins and be ineffective or cause Argyria (blue skin discoloration), thus giving CS a bad reputation. When you do this yourself, it is very important to control the purity of the water, because the purity of the water is one of the factors that ensures that the metal clusters will be mono-atomic atoms, not ions. As with all Homeopathic remedies, use preferably good quality non-ozonized and not-oxygenated distilled or Reverse Osmosis water with no more than 15 ppm of dissolved solids should be used and is available in most pharmacy or water stores. Ideally you should not use purified, spring, or filtered water because it still has too many dissolved minerals and ions in it. Distilled or preferably R.O. water is ideal to start the reaction slowly and let it proceed properly for up to 12-24 hours. Make sure it is not chlorinated or ozonized since Chlorine and Oxygen have an oxidizing effect on metal atoms. However in emergenices any water can be used and we have used ozonated water with good results, although sometimes resulting in a harmless yellow tinge. Multiple distilled water may be too pure to conduct much current at first. In an emergency or in third world countries, any source of water is safe and suitable for immediate use, even contaminated drinking water or tap water in spite of its dissolved Chlorine content. For highest quality NANO WATER use R.O. water to obtain the smallest mono-atom particles for long-term storage and effectiveness. Some manufacturers of CS Water add vitamins or trace minerals such as Iodine, Manganese, Zinc, Potassium, Cobalt, Sodium, Selenium, Chromium, Silica, and Boron or use mineral or Willard water. These might seem to have the advantage of containing other essential minerals but have the disadvantage of providing more vigorous conductivity for the electric current and the release of ineffectively large particles and no mono-atoms. Also, they introduce metal salts which contaminate your product. In the final product, there should be no salts present, only highly charged atoms, each atom having an electrical charge (Zeta Potential) and acts only as an atomic catalyst. The fewer the number of atoms (each 0.12 nm) in each cluster, the smaller the particle is and the more effective it is in protecting immunity by penetrating deep into mitochondria, bacteria, smallest viruses and prions. The slow charging process (12 to 24 hours) plus Alternating Polarity and High Frequency Pulses used here allows only the smallest mono-atomic particles to become detached one-by-one from the surface of the metal electrode. We recommend 24 hours charging for a strong high quality product of about 24 ppm for cleaning purposes. Ideally storage container should be of dark glass or some drinking water quality dark plastic. I conduct the process at home for 48 hours to get 48 ppm, which is good for spraying in the mouth at night, in the eyes or on wounds of humans or animals. 1. Go to your local pharmacy or water store and buy a 1, 2 or 4 litre container of standard R.O. or distilled water. Unfortunately most water sold is already OZONIZED which oxidises the silver causing a yellow colour. We have tested R.O. water as being most suitable. Other mineral waters and tap water are too conductive. Fill a sufficiently deep 1 to 4 litre glass cup, fish bowl, or flower vase sufficiently full of distilled water. The 4 litre (1 gallon) glass cracker/biscuit jar with a 4” diameter mouth and 7” deep made by the Anchor Hocking Company item #85725 has a nice flat top, bottom and sides. See picture on our website. If you cannot find these locally, eg WALMART or order from www.cooking.com or we can get them for you. However glass is expensive for us to pack and ship. At first the electrode light indicator will not be visible because the current is at first very low. With distilled water the electrode indicator light will be very weak since its intensity is an indicator of water conductivity, and water is inherently non-conductive. This light will gradually become more visible as the current rises up to 10-20 milliamperes. SUBSTANTIAL SILVER OXIDE BROWN MUD FORMATION IS NORMAL. Allow the container to sit undisturbed for 24 hours then filter. Filter out insoluble floating and sinking oxide particles through an unbleached coffee filter and funnel or our more elaborate 1 to 10 micron filters. You can use the filter several times over. Store electrodes in air-tight plastic bag to prevent blackening with oxygen. For Colloidal gold and platinum, as with any colloidal water, we start with pure non-ozonized distilled or R.O. water. CG needs a higher electrical current and voltage than Silver, Copper, Zinc, Tin, Magnesium. This why we provide a 48 volt power supply (not 12 or 24 volts) and constant Current Control. At the same time, the water has to be seeded. You must first make the water more electrically conductive in order to get higher electrical current between the electrodes. This is best done by making colloidal silver, then using a silver electrode as the cathode (negative, black connector), use the gold as the anode (positive, red connector). Ideally for the highest quality you should use two gold electrodes. Making Gold with DC electrical current (rather than with dangerous high several thousand voltage sparks) requires that the water be already electrically conductive so that large current up to 0.1 amps (100 milliamperes) can flow between the electrodes. This is called “seeding”. Some people use Baking Soda to enhance conductivity and others like ourselves recommend silver atoms and ions since they combine well with Gold atoms in an elixir called by the ancient alchemists “Electrum”. You should therefore use the more concentrated CS. Using less water such as 1 litre, would give a higher ppm of Gold since there is less dilution. It is unlikely that you could get more than 10 ppm of Gold using the low voltage DC method over 48 hours and this is sufficient to obtain the benefits of CG. Just like CS which is sold commercially in many pharmacies at 7 – 10 ppm. High frequency pulse modulation is now standard in all of our generators for making a higher quality smaller particle colloid of 1 to 8 nanometres. We now use 528 Hz, the Love Frequency of Dr Len Horowitz, frequency modulated by 7.83 hz of Schumann Resonance. Even among experts there is confusion about ppm and how much is Ionic and how much particulate (colloidal) and how our conductivity meters and even analytical laboratories reflect these measurements. 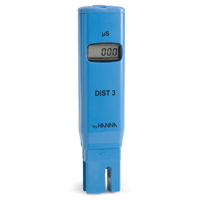 Regarding the water test meter, it measures only electrical resistance of the water which is only an indirect measure of ions and atoms in the water and is the best method conveniently available. TDS (Total Dissolver Solids) is a measurement of Sodium Chloride not nanoparticles which can be positively or negatively charged, thus confusing the measurement. Do the lights of the generator come on? Short the two electrodes together to see the electrode light come on. After several hours, there should be a slight oxide deposit on the electrodes or on bottom of container Using the alternating polarity mode, there is usually little deposit, because of the self-cleaning action. Some metals, especially Magnesium, Zinc, Tin and Titanium anodize rapidly and may disintegrate with prolonged exposure to electrical current. Please monitor and observe these electrodes every hour and limit electrolysis to a level that is safe for the electrode. Since the nanoparticles are within the range of quantum behaviour we can expect them to exhibit interactions with Consciousness, non-locality, time reversals and tunneling at superluminal velocities.